Increasing attention is being paid to suicide among law enforcement officers, and how the agencies that employ these officers could prevent such deaths. 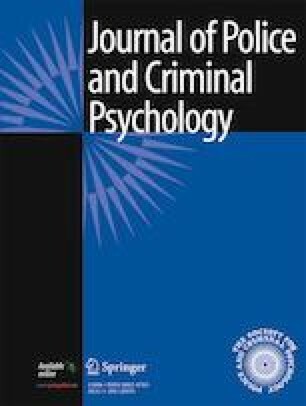 This study presents the results of a national survey of U.S. law enforcement agencies’ strategies for preventing officer suicide. We invited 177 agencies from across the United States to be interviewed, and 110 agreed to participate in qualitative interviews. Agencies were grouped into one of four categories based on the services they offered. Agencies offered minimal (a municipal employee assistance program), basic (mental health, critical incident response procedures, and training), proactive (in-house mental health care, embedded chaplains, substance misuse programs, peer support, screening, or health and wellness programs), and integrated services (integration of services into day-to-day operations). The results indicate that many U.S. law enforcement agencies are engaged in efforts to promote officer wellness and prevent suicide. Officers’ perceptions of confidentiality may inhibit the use of in-house or contracted mental health services, while a weak or inconclusive evidence-base raises questions about common approaches like peer support or critical incident stress debriefing. The online version of this article ( https://doi.org/10.1007/s11896-018-9269-x) contains supplementary material, which is available to authorized users. We would like to thank Zachary Predmore and Quentin Stroud for their assistance in coding interview notes. National Institute of Justice (Award No. 2015-IJ-CX-K004). The opinions, findings, conclusions and recommendations expressed in this publication are those of the authors and do not necessarily reflect the views of the Department of Justice.